Digest this- according to www.gov.uk; there are about 37.5 million registered vehicles in the United Kingdom for its 50 million (approx.) adult population. By any measure, that’s a massive number. Imagine what it’d be like to go out if you weren’t sure whether these vehicles are fit to be driven on the roads or not. You wouldn’t be alone in feeling this way. Even Ernest Marples felt the same way. Fortunately, he was the Minister of Transport back in 1960 and had the power to do something about it. And thus, the MOT was born. It is an annual test that every vehicle has to take to prove its roadworthiness. In and around Easington and Cleveland, Easington Service Station offers MOT tests for different types of cars. For example, a passenger car will take the class 4 MOT, whereas a goods vehicle will have to take the class 7 test. Under the power vested in him by the Road Traffic Act of 1956, Mr Marples and his team devised a mandatory annual test that every vehicle over ten years old had to take to stay on the roads of Britain. Colloquially, this test came to be known as the ‘Ministry of Transport’ test and later, just MOT. The age of vehicles was soon reduced to seven, and ultimately three, because of high failure rates. It is surely not the last upgrade either. As cars continue to evolve, so will the MOT. According to the official government site, a whopping 30% of vehicles that took the class 4 MOT test failed because their lights weren’t working correctly. That is alarming because, without adequately functioning lights, the visibility will reduce drastically, especially during the winter when most of Britain is under mist and fog. Poor tyre conditions and improper pressure in them come second on the list with 10% of all failures attributed to them. For those of you that do not know, MOT requires that the tread depth on your tyres is at least 1.6 mm. Any less and your car will be deemed unfit to drive on the roads of the UK. With 8.5% of all vehicles in its kitty, wiper blades and mirrors take the third spot on the list. The driver’s ability to view the road properly plays a crucial role in ensuring everyone’s safety. If there’s any fault with the blades or cracks on your mirrors, you’ll not announce. If you are one of the 2.7 million new car owners and have no clue where to take your car for this all-important test, you have made your first right decision by reading this post. As for your MOT check, you can always come to Easington Service Station. Our experts will not only take the test but also prep you on the basics of it. If your car needs any repairs, we’ll do those too. 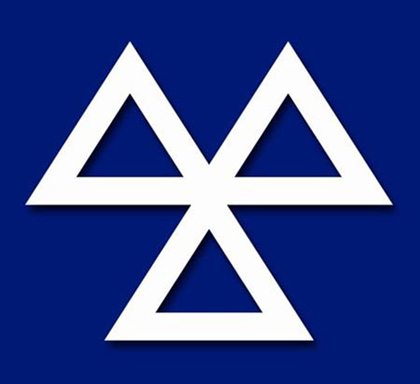 The government has regulated the maximum amount that a garage can charge for MOT tests. The magic number is £54.85. That’s all you have to spend annually to ensure that your vehicle remains legal on the streets of the country. Do not wait. Visit us today.